This series is designed for professional photographers and photography enthusiasts. Check out the site for details & registration info. I’m Creepin’ While You’re Sleepin’: I have no idea what’s going on with this giant Neckface mural, and I’m pretty sure I want to keep it that way. “Goodbye seven-click, menu-driven plug-in launch…hello single-click access to 3D joy.” I’m really glad to see that Electric Rain has enhanced the usability of their Swift 3D.PS 3D plug-in for Photoshop by leveraging Flash panels & Adobe Configurator. On their site they posted a detailed overview of the panel creation process and benefits. Good stuff, guys. Speaking of Configurator, thanks to all the folks who attended the Photoshop extensibility sessions that Jeff Tranberry, Tom Ruark, and I presented last week at Photoshop World. By popular demand Jeff has posted his slides alongside lots of other detailed notes on panel creation. More ambitious Configurator users will want to check out his notes on combining scripts with Configurator panels, including some details on how to package up external files using Extension Manager. If you are holding out on that CS4 upgrade, this tablet might entice you to reconsider. The Photoshop code that interacts with tablets had a great deal of elbow grease applied to it. The result is improved quality at the beginning and end of strokes, as well as improved response to pressure. PS now preserves pressure beyond 8-bit throughout the painting code, whereas before CS4, only 256 levels (8-bits) made its way to this code. This should be more evident when working in 16-bit layers where subtle buildup can occur in the buffers used during painting. Famed pop artist David Hockney has started using Photoshop as his new medium. Apparently Russell Brown & co. had him out for a visit to Adobe nearly 20 years ago to introduce Photoshop; looks like the seed has finally sprouted. Emma McNally’s pencil drawings feature a “borderline OCD” level of detail. Liquify, anyone? I like the subtlety of this Bosch ad. Get yer geek on with a set of Nerd Merit Badges. PSDTUTS offers pointers for Using Adobe Kuler to Enhance Your Photoshop Color Workflow. Timeline works as a Photoshop plug-in and features a unique user interface that allows you to always see the file’s history and save and get file versions without switching from the main Photoshop window. The plug-in is free of charge. Together with the Photoshop plug-in the users get their own online space on the PixelNovel server. One of the key features of the Timeline version control system is the web interface to your account. You (or your clients) can view all versions of your files online on any computer with Internet access, the comments for the versions, and also download individual versions in the PSD format. This means that you can access your projects from anywhere in the world – either using Adobe Photoshop or any web browser. The video was created by 15-year-old Josh Sunshine with a little assist from padre/Photoshop author David Asch (who used Photoshop Extended to color-correct the piece). Man, thank goodness none of this stuff was available when I was younger. I’d probably still be holed up in my parents’ den! On Thursday I talked a bit about how the Adjustments panel introduced in Photoshop CS4 fits in with the team’s larger vision for the product. Now I’ve asked my fellow Photoshop PM, Bryan O’Neil Hughes, to elaborate on some of the design goals that informed the effort. Bryan drove the development of this feature, so I thought you’d like to hear his perspective (in this post’s extended entry). The endlessly popular Helvetica anchors at least 40 well-known logos. I can hear buzzing out the window in the Insomnia Entertainment identity. The Closing Logos wiki rounds up an overwhelming set of movie company logos modified to fit the film at hand. I dig Sam Weber‘s soft palettes & surreal imagery. A White-Hot Juggernaut At 200 Miles Per Hour! 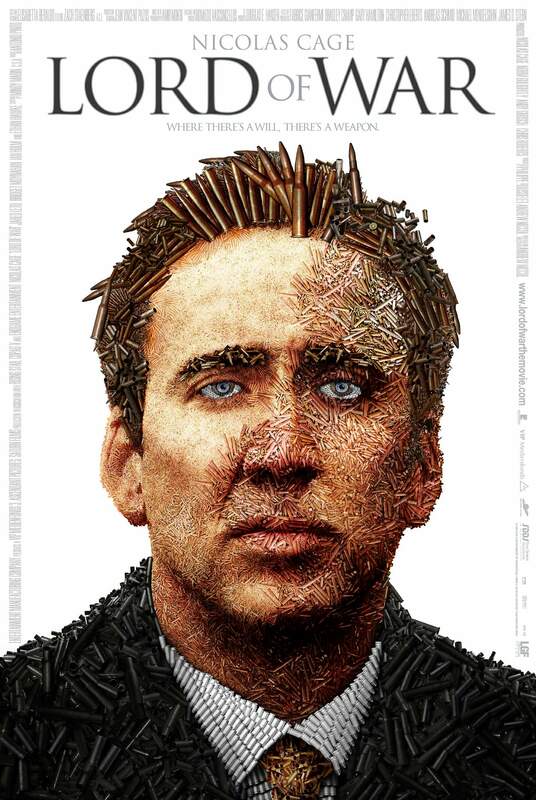 PSDTUTS hosts 50 Brilliantly Photoshopped Movie Posters. 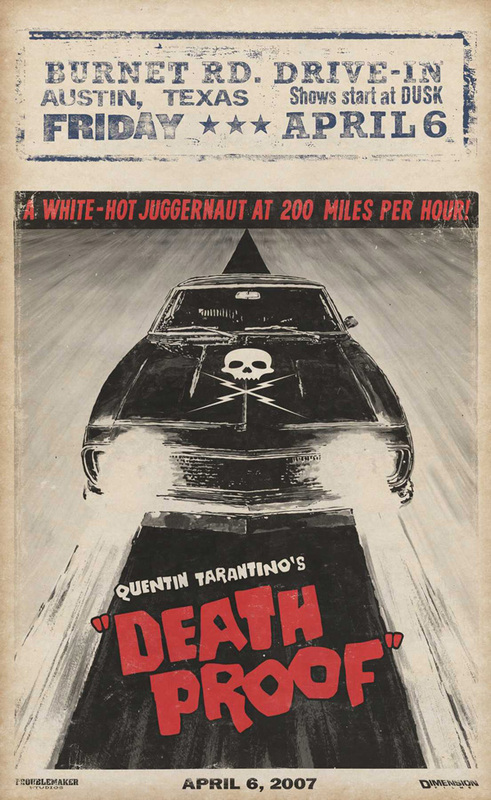 I especially dig the Death Proof & Lord of War pieces. COLOURlovers rounds up a great set of Mid-20th c. Euro Poster Art. I could try to describe this crazy Japanese ski-bathroom, but you’d better just see it yourself. Matt Kloskowski has a great idea: raid Illustrator’s library for art to use in Photoshop. The ever-clever Photojojo features the novel Wrap-Around-the-Corner Frame. Think the iPod Shuffle is wee? It’s got nothing on these cams. Being kind of a gas bag, I appreciate these vintage Thanksgiving Day parade balloons. If you’re attending Photoshop World in Boston next week & have an interest in customizing/extending Photoshop, please come check out the sessions that Jeff Tranberry, Tom Ruark, and I are doing on Wednesday afternoon. We’ll start things simple with Configurator & move gradually into actual script-writing. I’ve posted the details in this post’s extended entry. Jerry raises a good question: Can a 32-bit app be architected to take advantage of 64-bit OS? Prior to multi-core rendering, all rendering took place within the bounds of a 32-bit memory space. Today, parallel processing is the key. If After Effects weren’t architected to take advantage of 64-bit, all your processor cores would be using the same small chunk of RAM. Instead, multi-core rendering on a 64-bit OS can use up to 4GB per core. After Effects has been rendering faster because of this architecture since CS3 shipped back in 2007. And it’s been improved in CS4. What about optimizations? Let’s say you only have 2GB of RAM. You might assume that you’re not a candidate for some of the improvements offered by using CS4 with a 64-bit OS. But this isn’t the case. After Effects uses RAM intensively, and it can do so more efficiently and reliably on a 64-bit OS. In some respects, After Effects is a hybrid – a little bit like a Toyota Prius. Is it practical to be completely electric? Not yet. Does that mean that we should give up spectacular gas mileage and clean-burning technology now? No way. These are great advances and you don’t have to wait around for the Chevy Volt. Like CS4, the Prius is improving the world now. You’ll have to wait until 2010 for that Volt. All things considered, CS4 and a 64-bit OS are probably one of the best investments you can make in 2009. Need for Speed: The Art of the Title Sequence shows off some great examples of high-speed type & imagery from movie title sequences. Aoyama Hina makes ridiculously delicate, intricate papercut lettering. More photos are on Flickr. Smashing Magazine has rounded up 50 Stunning Photoshop Text Effect Tutorials (more than a little overwhelming, but sure to contain some gems). Sometimes one letter makes all the difference. File under Tiny, Lovely: Smashing Magazine hosts 25 Beautiful Examples Of Macro Photography. The magazine’s photography contest winners show off solid work. For more good stuff see the 2008 International Photography Contest winners. Paolo Pellegrin got intimate access to photograph great performers (Penélope Cruz, Robert Downey Jr., and others) from the past year. So, you say you’re into photography. Yeah, but did you ever shoot out your eye and then jam a tiny camera into the socket? Yeah, I didn’t *think* so. Ready for Google Earth fly-ofers, street artist JR brings huge faces to slums around the world. Here’s more background on the work. Branislav Kropilak finds austere, graphical beauty in parking garages. Relleno De Mono remixes old photos in a most custom way. Turn a Scrabble Board into a Picture Frame. A photographer and VFX artist with a BFA in Photography, Lisa is the co-founder of HDR-VFX, based in Nyack, NY. Last year, she spent over 7 months on the road shooting HDR panorama-based virtual tours of Lexus Dealships across the US. Things get underway at the Adobe SF office around 7pm. Here are the full details. I’m happy to see that the Illustrator team has launched Infinite Resolution, their new blog. On it they’re looking forward to “sharing knowledge about Illustrator and vector graphics in general as well as linking to and discussing some of the things we see going on in the world of vectors.” I’m expecting some good give-and-take between passionate customers & app-builders. I love this crafty little Super Mario riff from NYC. I’m digging Paul Lee’s crazy characters & punchy palettes. The Adobe MAX conference is already starting to take shape for this fall (Oct. 4-7 in Los Angeles), and the organizers are looking for good speakers. I’m told that the proposals are pretty geek-heavy so far (lots of emphasis on tools, how-tos, etc. ), and we’d like to get more folks talking about their work & creative processes. Check out Ted Patrick’s call for sessions & labs proposals for more info. And for inspiration, check out some of the presentations from MAX 2008. Graphic Mania features a roundup of fresh 3D typography. The fountain of type for the Zune Marketplace sorts me out. “Nazi Zombies! !” Austin, you have been warned. Wikipedia describes “augmented reality” as “the combination of real-world and computer-generated data (virtual reality), where computer graphics objects are blended into real footage in real time.” Now it’s come to Flash, with some amazing results. Create, bevel and extrude 3D text from any font in seconds. Quickly create extrusions and 3D lathe objects with a Bézier pen tool. Extend Photoshop’s workflow with After Effects CS4 Live 3D view. Import, extrude and bevel existing 2D vector artwork from Illustrator or Flash. Simplify 3D scene creation with targeted cameras & lighting. Because it works inside Photoshop, the plug-in taps into the power and flexibility of Photoshop’s 3D system. After extruding some text, for example, you can still apply Smart Filters in Photoshop, paint the surface of the letters, rotate them directly in PS, and send them back to the plug-in for further updates. Very cool; I’ve been hoping to see something like this for a long time. Swift3D PS should make it much faster and easier to create popular 3D text effects (like this) & more. Check out some screenshots, and peep these 3-minute tutorials to see the system in action. The plug-in (Windows only at the moment) is downloadable in trial form and sells for $149 (with a 15% off coupon available now). Is Congress really thinking of mandating that cellphone cameras emit a sound? Yes, really, it appears. Google Earth has apparently exposed a U.S. drone base in Pakistan. This update also includes preliminary support for the recently announced Epson R-D1x (and R-D1xG). In addition, Lightroom 2.3 expands the number of languages supported & includes a variety of bug fixes, as described on the Lightroom Journal. Users of older versions of Photoshop (CS3 and earlier) and Lightroom (1.x) can use the free DNG Converter (Mac|Win) to make files from the D3X, E-30, and over 200 other cameras compatible with their software. The math-rock kids get crazy exploring logo designs with Mathematica. 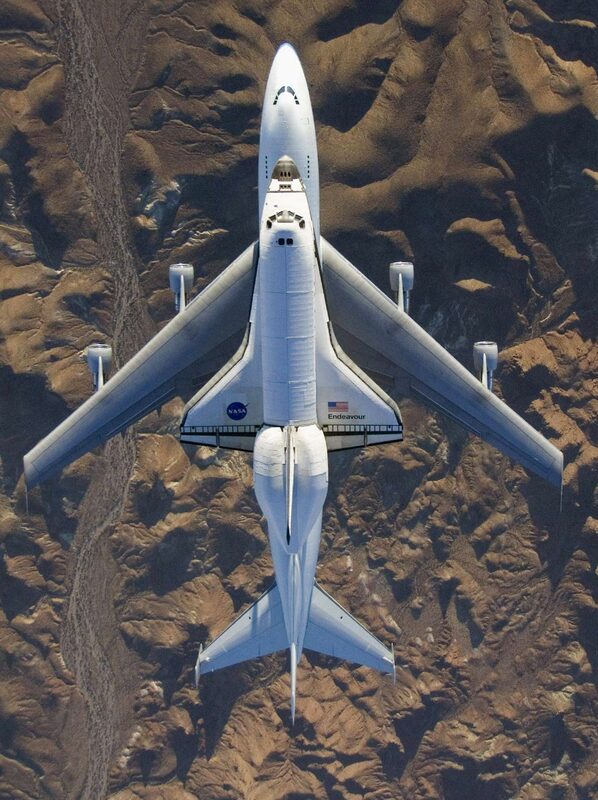 The Big Picture hosts a “Round trip with Endeavour,” showing the various stages of a shuttle flight. This shot especially is outta sight. HIRISE, the High Resolution Imaging Science Experiment, has put a bunch of stereoscopic pictures of the surface of Mars online, requiring 3-D glasses to view. The Onion staff offer their take on NASA.